Well fight fans, we’ve not the time to take a breather. 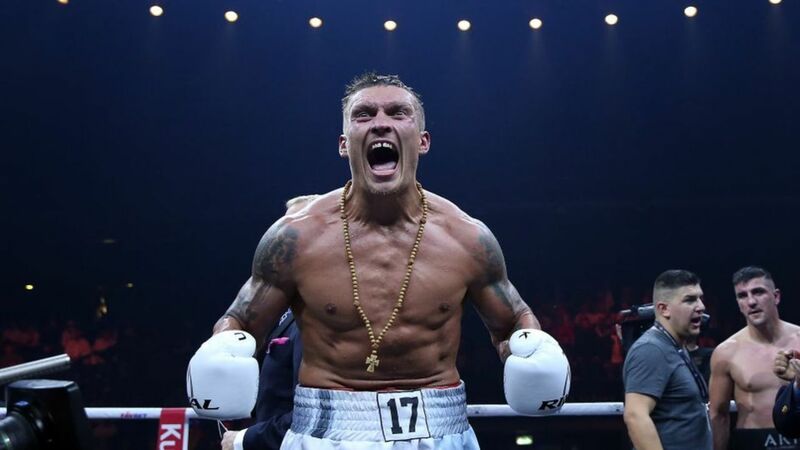 Many of you are still talking about last week’s great action that saw Oleksandr Usyk unify his WBO title with that of the WBC title of former champion Mairis Briedis. A thrilling fight which saw the Ukrainian outsmart and outwork is way to a twelve round decision in the Latvians backyard. Whilst the ink is barely dry in the history books, we don’t have time to stop and dwell. The World Boxing Super Series makes the trip across eastern Europe to the coast of the Black Sea to the city of Sochi. Hold on to your hats folks, this has all the making of a war, that could be over in the flash of an eye. You may remember in an earlier article on 3kingsboxing.com that I stated the fight we saw last week would be fought with feet as oppose to feet. This fight could not be any more different with the bout being fought by arguably the tournaments two biggest punchers. IBF Champion Murat ‘Iron’ Gassiev will be fighting in his home country against ‘The KO Doctor’, Cuban Yunier Dorticos who was today elevated to WBA Champion, following the decision to make Dennis Lebedev ‘Champion in Recess’. To add to the intrigue of what is already a great fight, both men are undefeated, someone’s 0 has to go. Both men scored brutal knockouts in their respective semi-finals. Gassiev left Krzystof Wlodarczyk broken in half in a third round stoppage in Newark. Whilst Dorticos hit Dmitry Kudryashov so hard when he woke up his clothes were out of style! There is a case that whilst Gassiev is the younger man, he has faced better opposition than that of his opponent. His biggest strength lies in his work to the body as evident in his last fight and specifically against Dennis Lebedev. Very much like fellow Abel Sanchez trainer fighter Gennady Golovkin, Gassiev too cuts off the ring very well and applies a constant stream of pressure. He has a great variety of work, with my only concern being that sometimes he does stand too tall. One is for certain if he misses then ‘The KO Doctor’ will certainly make him pay. Yunier Dorticos has had a slightly shorter, but more explosive career. Only ever going the distance once in 22 fights. He has fast hands and a longer amateur background and certainly, despite his advanced age the fresher fighter. For me the key in this fight is how Dorticos will deal with the constant pressure Gassiev will no doubt apply. Dorticos is a showman with a tendency to go hunting for the knockout and to trade leather. He will most certainly need to air on the side of caution in this fight and pay mind his defence, something we have seen very little of. This a real 50/50 fight, make no mistake about it.